Play marked up projects like video: mark up, search, play. 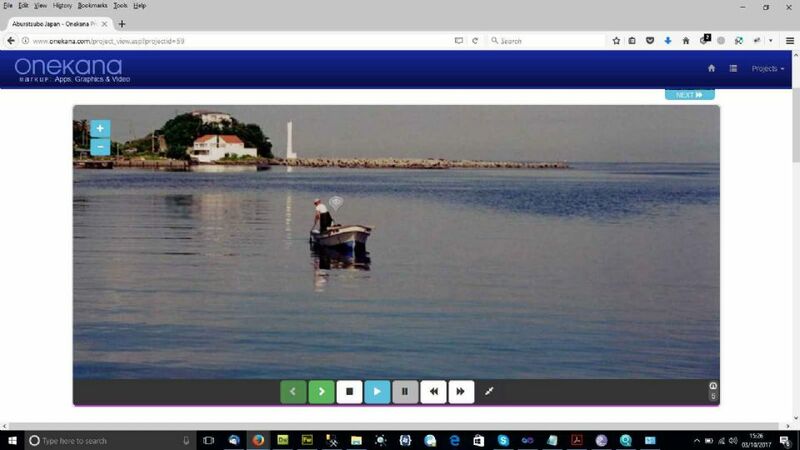 Switch between interactive web page, and media playback views. 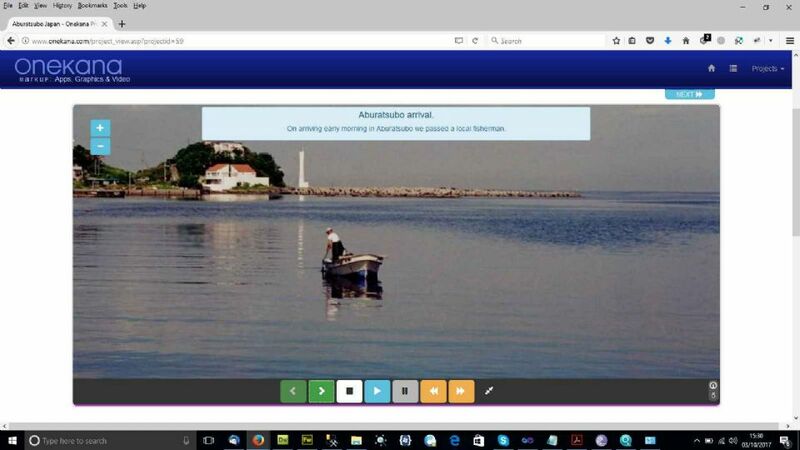 Onekana generates a media style player from your marked up graphics and images. Users can play, pause, go full screen, and search, playing the filtered results for any topic or list. For step by step guides, use the green forward and back buttons for full user control. 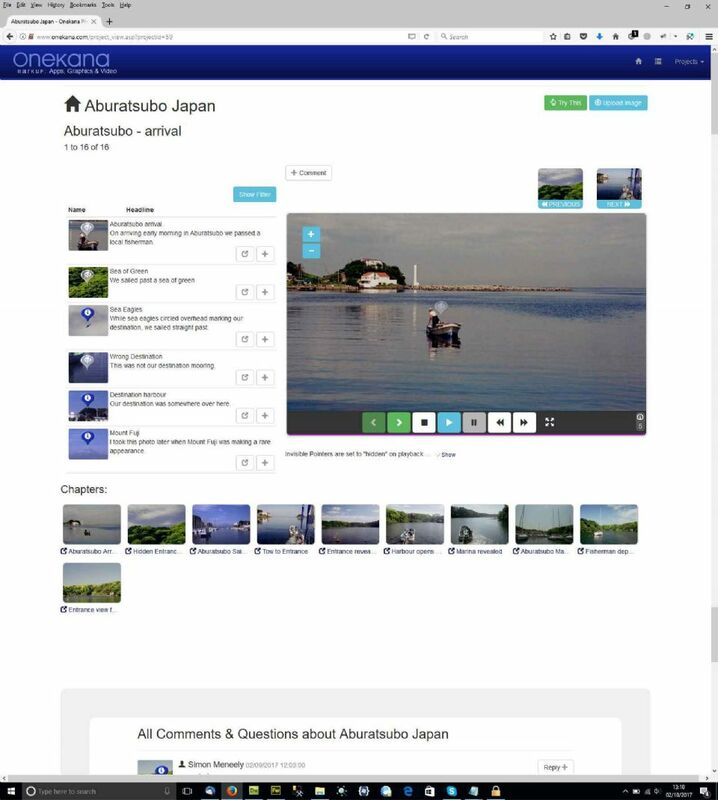 The default view is a searchable list with the onekana player alongside. Clicking on a thumb pointer on the list takes you to the relevant pointer. The pointer bounces on the graphic to alert you to its location. Clicking on the next or previous buttons takes you to the next or previous chapter, with all the pointers and relevant information. Clicking on a chapter lets you jump to any point in the presentation. Comments can be added to any mark up. And comments can be made about comments. Pressing play sets the presentation in motion. Goes to the next pointer. You can enter next / previous 'mode' without starting the player. Goes to the previous one (unless you are at the start). The zoom controls let you zoom in and out before playing. Panning is handled automatically by the player. Clicking on the speed control lets you play faster or slower. The next and previous chapter controls are converted into speed controls. As the presentation plays, content is displayed in bubbles in time with the presentation. Click on the fullscreen / list view toggle button again to return to list view. 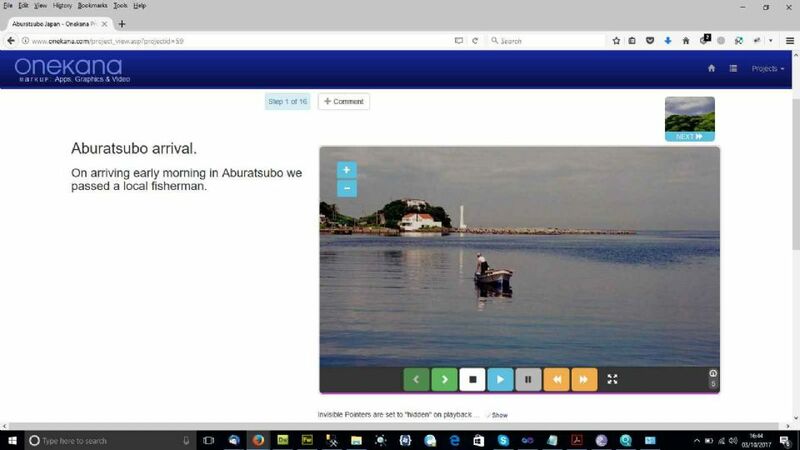 In split screen mode the content displays on the side. This provides additional space for things like video. Timings for the onekana player are based either on the amount of text, (adjusted with the speed control), or on the duration of the media. The pointer link optimizes the page for a single pointer, so that users can email very specific details to other users, or highlight a very specific issue. Every tool set and graphic type can be tried out using the try this button. See the Mark Up presentation for more details on this. The search filter provides more advanced filtering options. These vary according to the type of onekana application. So availability becomes an option for properties on a site map, units in a commercial property, seats in a theatre, or a 'completed' button appears for a 'To Do' list, to give a few examples.